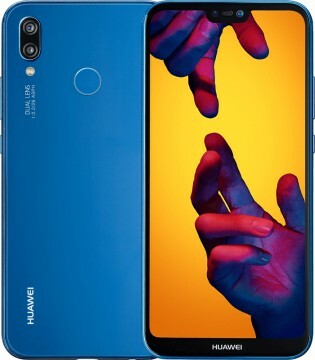 The China based tech firm Huawei have released a lite version of the highly anticipated P20 and P20 Pro. Coming equipped with a 5.84-inch FHD+ 19:9 resolution display, it has an almost bezel-less display and also features the notch seen on nearly every new phone this year. You can see Apple has inspired a substantial amount of the design on the P20 Lite, as it also has rounded corners and a slim thin body. On the rear of the phone, there is a fingerprint scanner and a double camera that protrudes slightly from the body. Facial recognition has also been included on the Lite, with good results all round with quick and reliable unlocking by looking at the 16MP camera on the front of the phone. These are some of the notable Huawei characteristics that are obvious on the P20 Lite. The dual camera craze has made its way onto this phone as well, bearing a camera that consists of two sensors with 16+2MP with f/2.2 apertures. They are located vertically on the left side of the rear as seen on the P20, and produce very decent photos with additional modes to choose from including Night, Panorama, HDR and AR lense. This is a mid-range phone that has a high-end exterior that is very well put together and feels nice to hold, with decent specifications for its class. It is powered by the well-received Kirin 659 chipset and comes with 4GB of RAM with 64GB of storage that can be expanded via MicroSD, so plenty of power. The battery life is also sufficient, with a 3,000aMh battery enabling it to make it through a day of usage on average, the same battery found in the previous Huawei P10 Lite. This is a cheap alternative to other high end options like the iPhone X if you’re looking for similar and watered down features for a much cheaper price. It is a brilliant phone for just that, a cheap alternative. The device is already out everywhere apart from the States as was always expected.